A sassy love story to bring out the superhero in us all! Eugenius! – the most hotly anticipated new musical you’ve never seen - is returning to the West End! 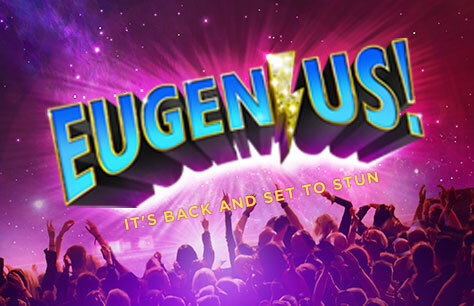 Boasting a ton of totally original songs that you’ll go nuts for even on first hearing – Ben Adams and Chris Wilkins have written a show full of instantly addictive hits – this sassy script will make you laugh, gasp, sing, cry, and shout ‘Go Eugenius!’ along with everyone else. This is a show where geeks rule, dreams do come true, and everyone finds the superhero inside themselves – now they know where to look.